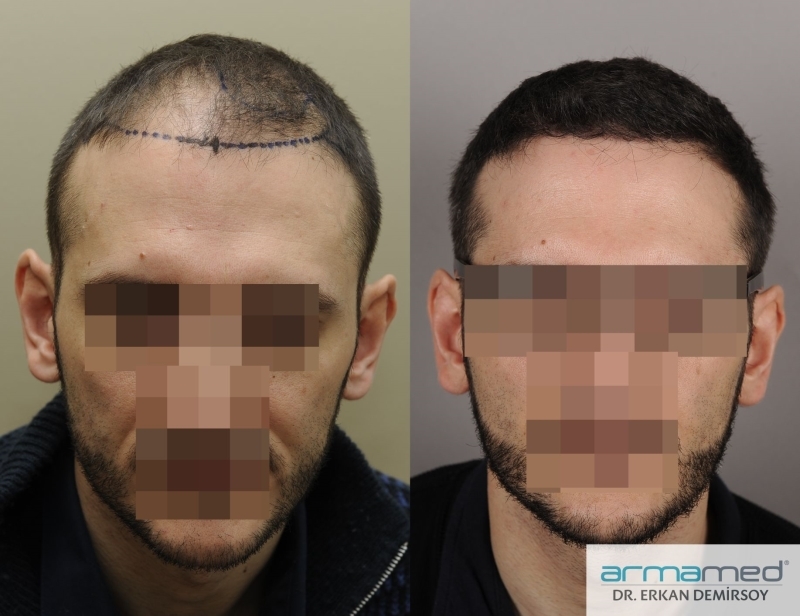 You can follow news about Armamed from this page. 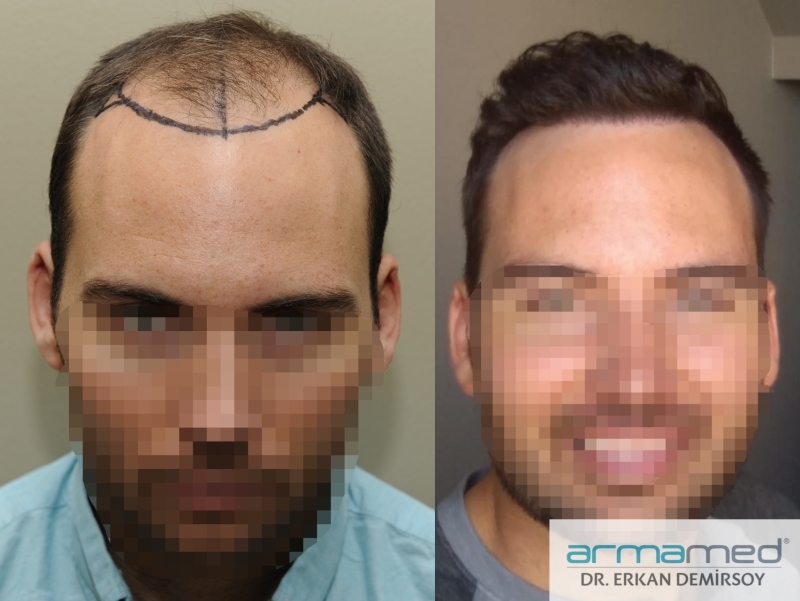 It consists of 4 steps. 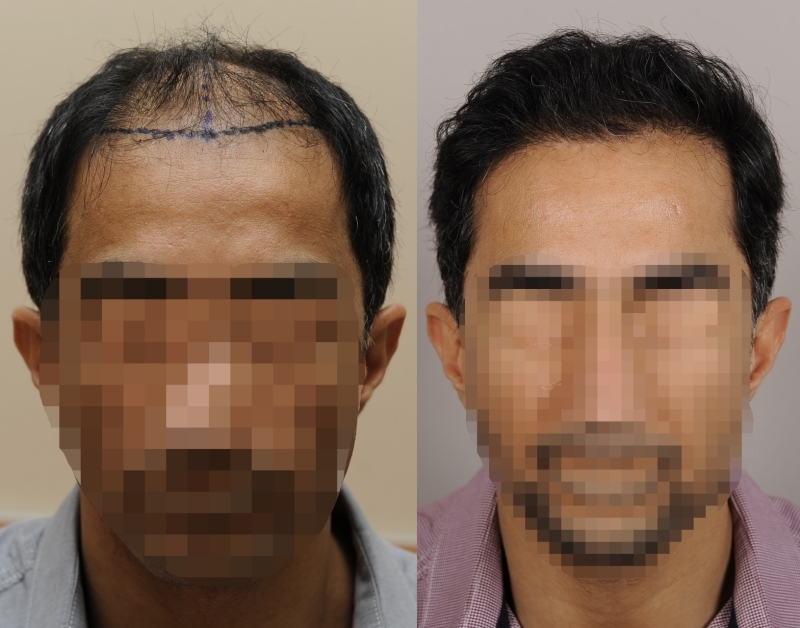 HOW SHOULD VERTEX TRANSPLANTATIONS BE? 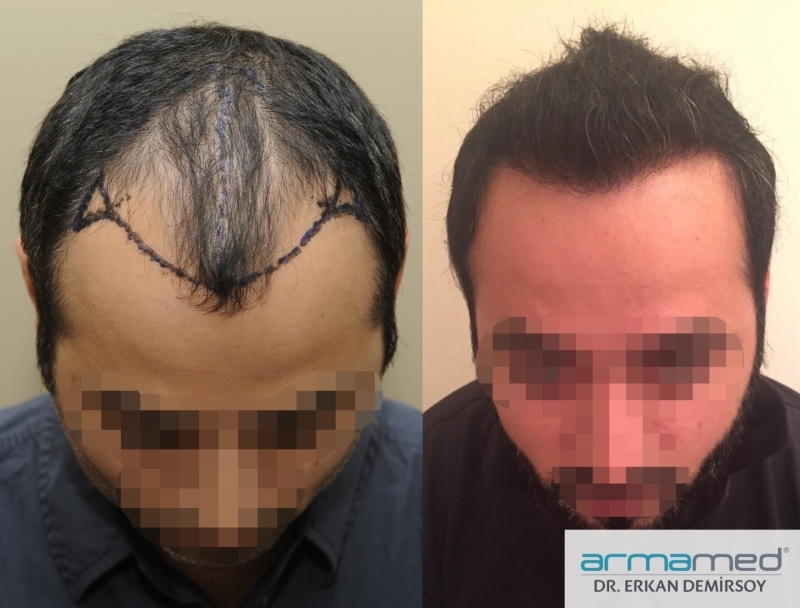 Do not hit the transplanted area into anywhere for 7 - 10 days. 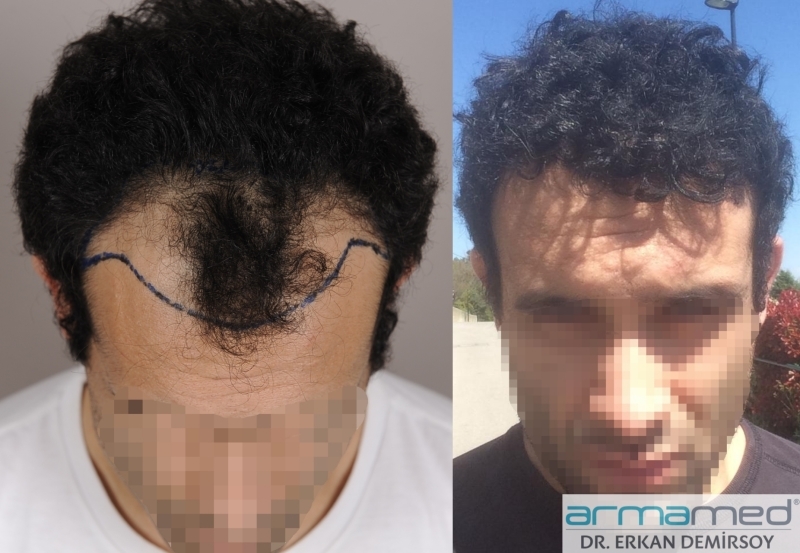 TO WHICH TYPES OF LOSS HAIR TRANSPLANTATION CAN BE PERFORMED? 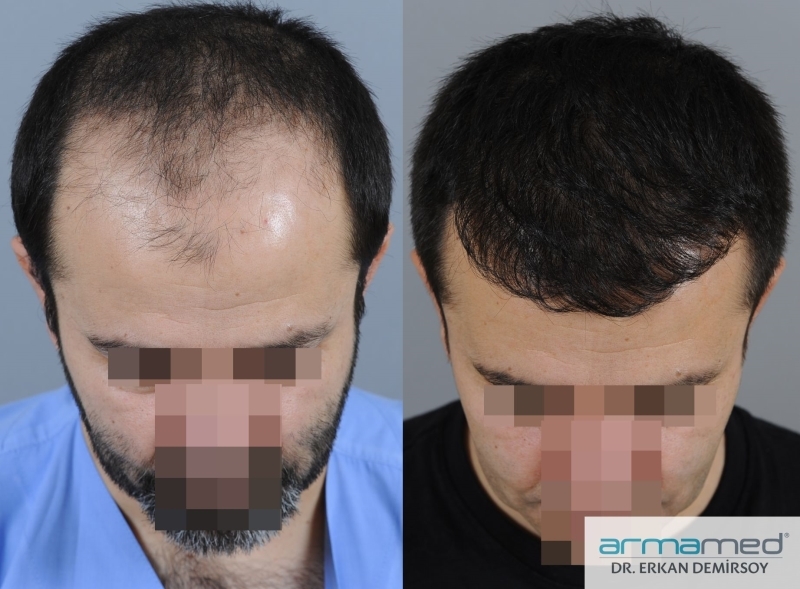 HOW HAIR WASHING IS PERFORMED AFTER FUE? 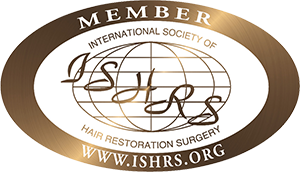 By means of Patient satisfaction, International recognition, natural and beautiful results we provide service to ever 95% of international patients. 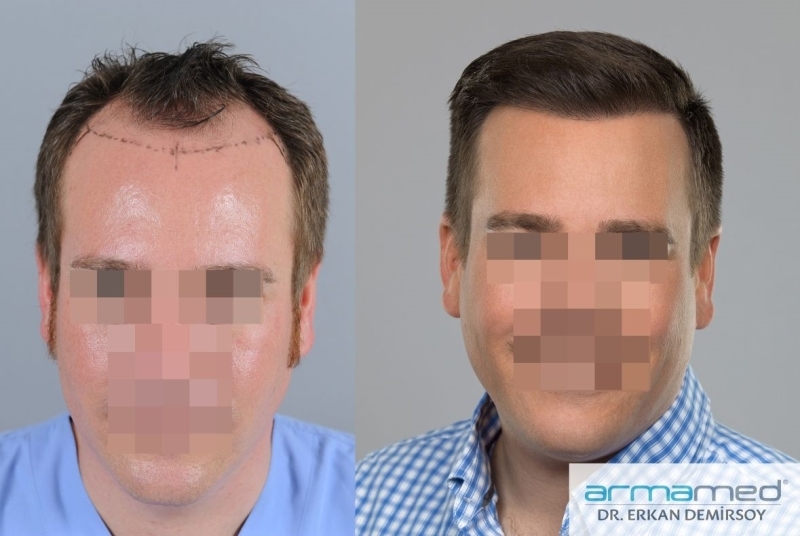 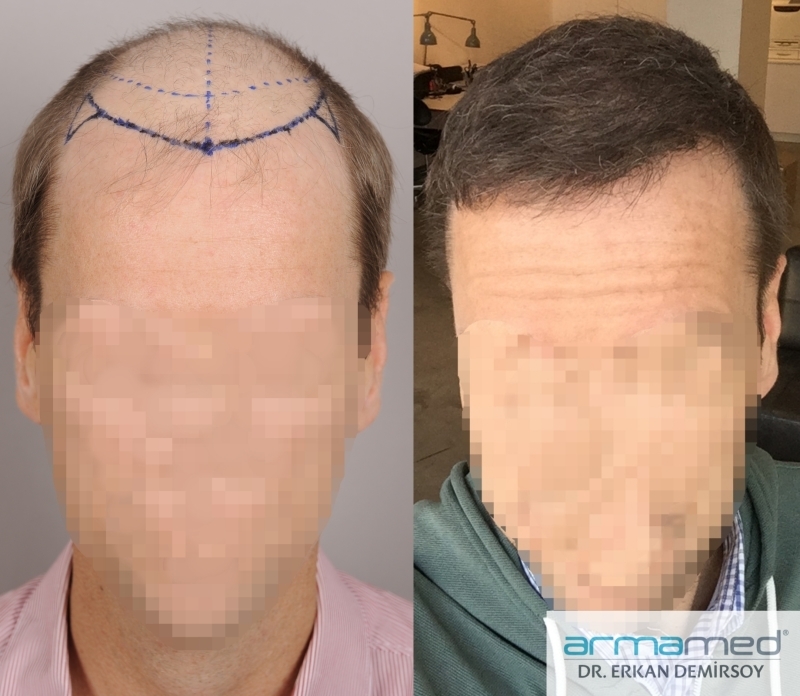 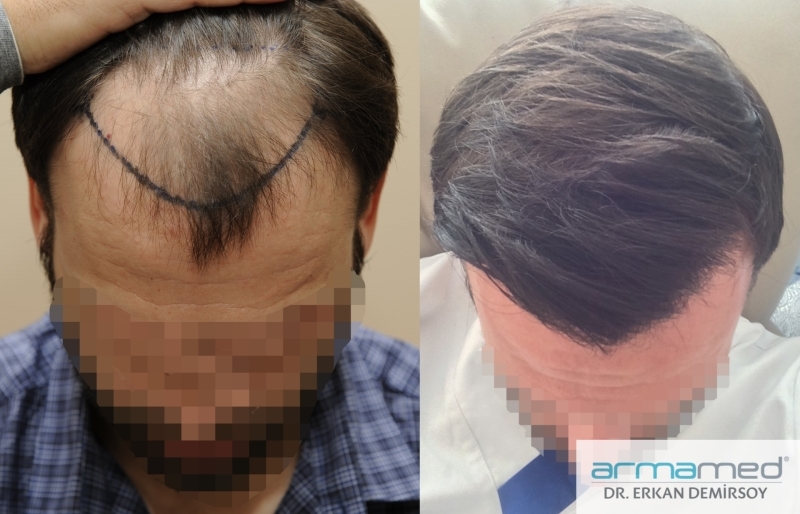 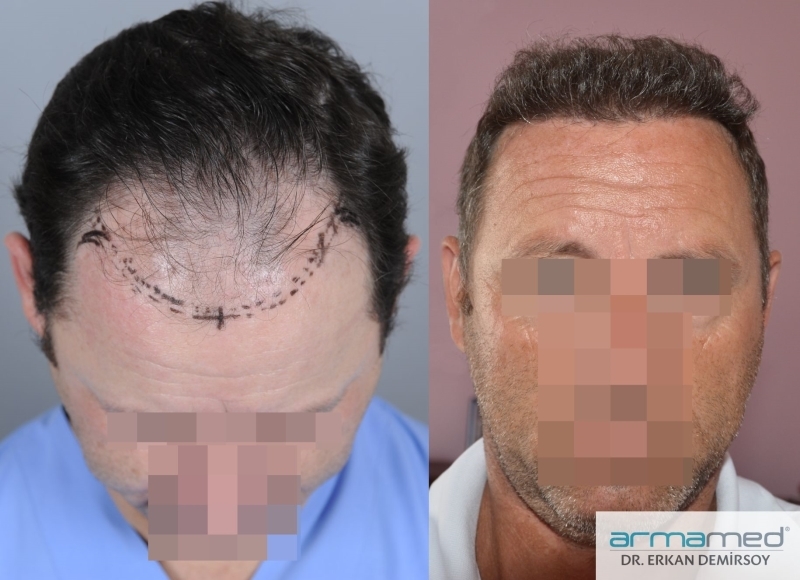 Dr. Demirsoy with his 17 years of experience and over 4000 operations and along with his experienced team, we give service to our patients with the Fue technique. 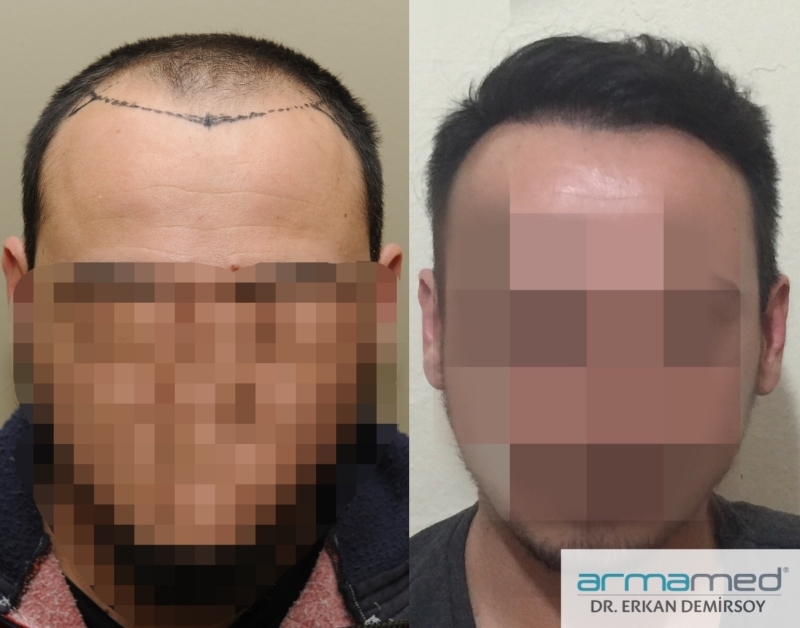 If you want to get information on hair transplantation, please fill the form completely, and attach your photos taken from front, above, sides and behind showing your current hair condition. 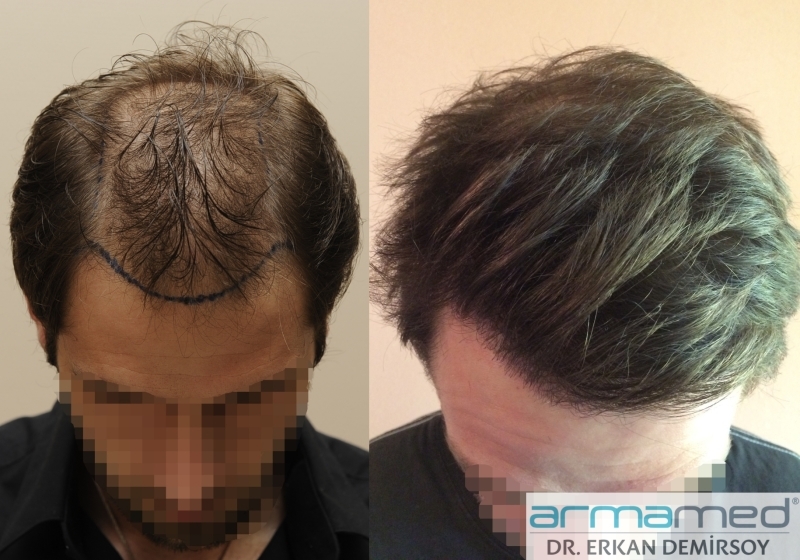 Here you can find results of Dr.Erkan Demirsoy . 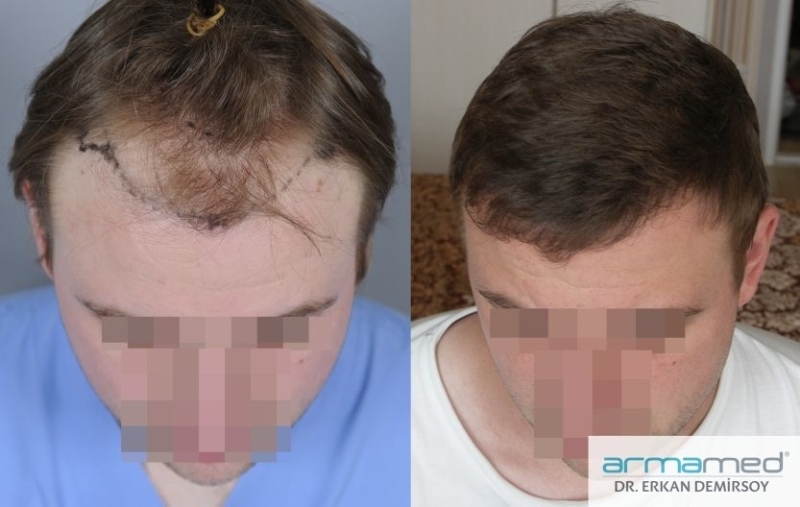 The FUE technique is the operation wherein your hair follicles are extracted one by one from the haired zone at over both ears and between the ears, that we call as donor area, via cylindrical micro tips, of 0.7 - 0.9 mm diameter. 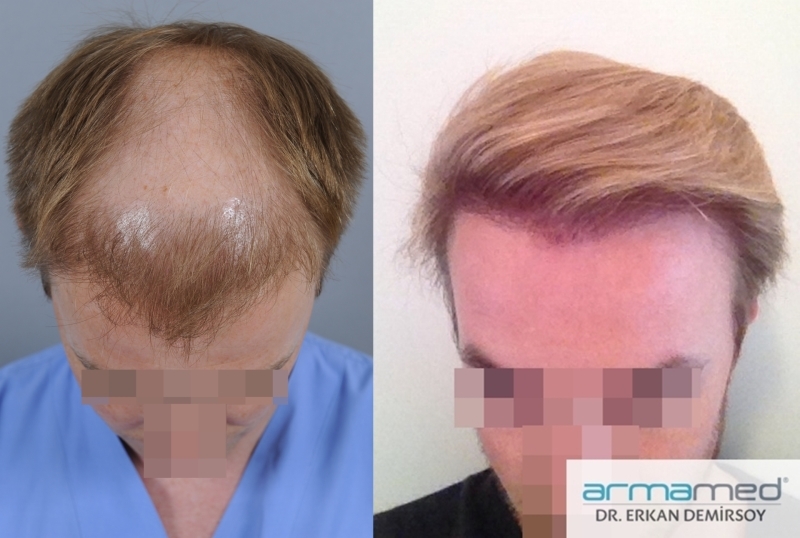 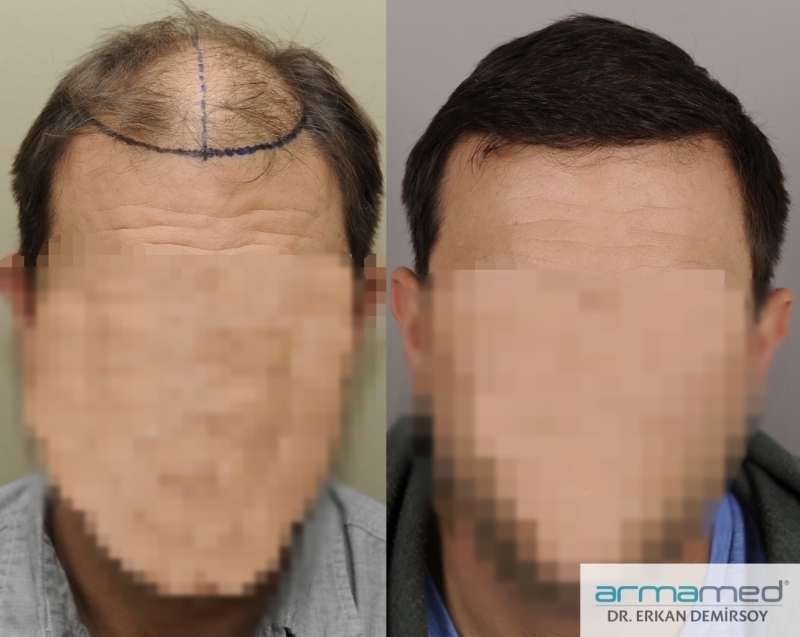 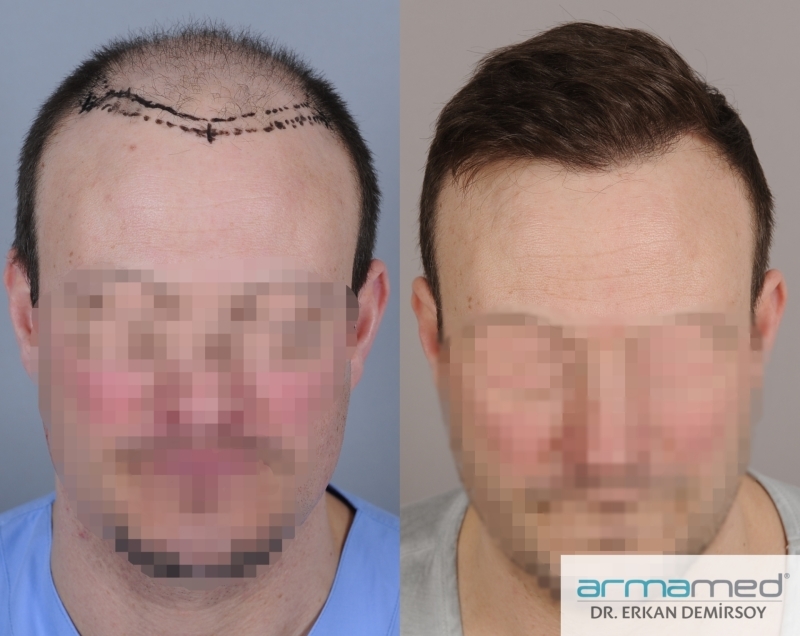 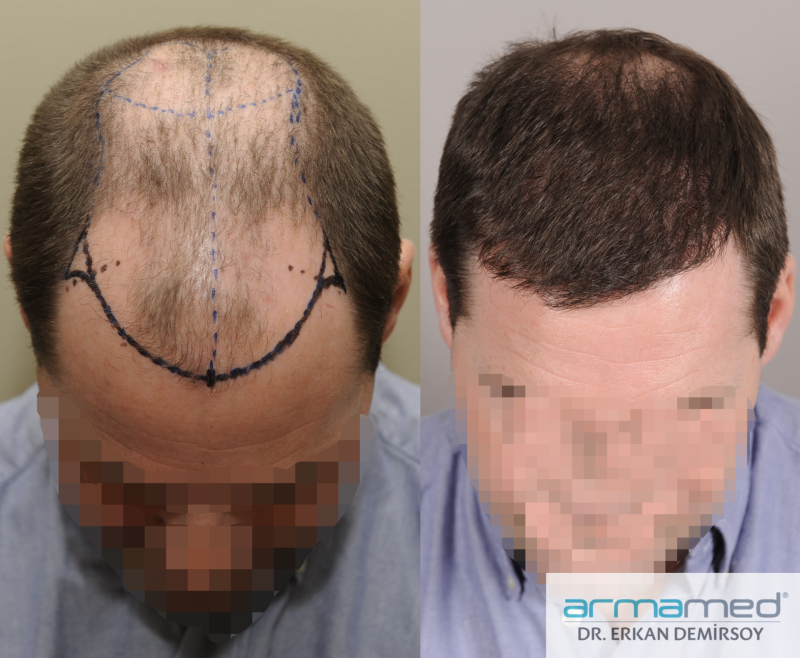 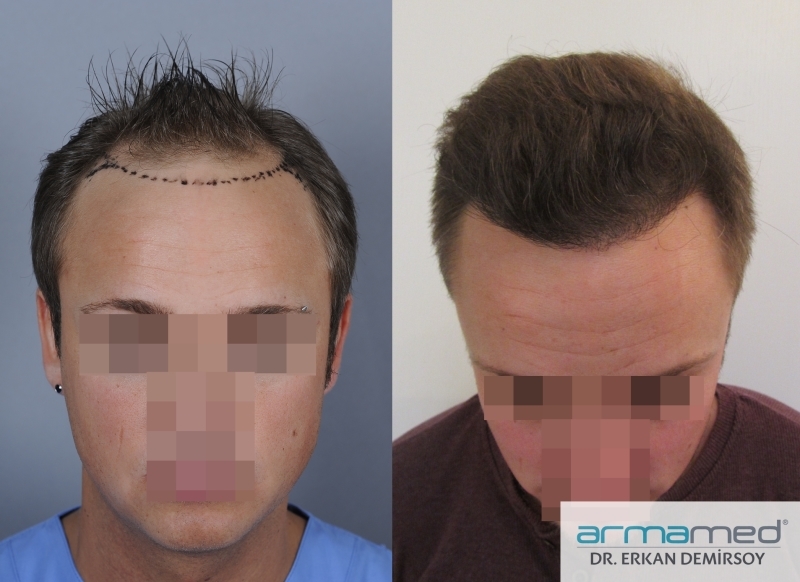 Dr.Erkan Demirsoy performs hair surgery approximately for 18 years. 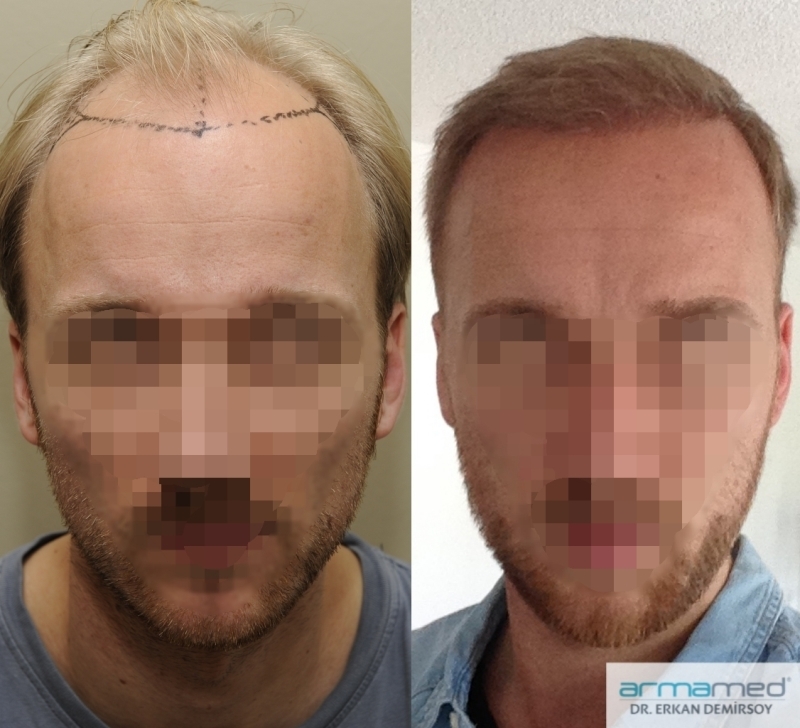 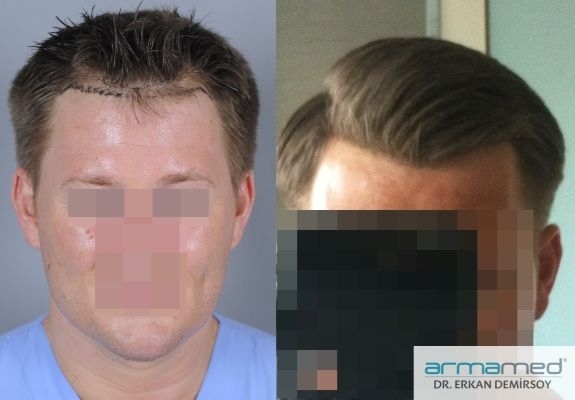 He started with FUT technique and in 2005 he switched to FUE technique which is the modern technique of the era. 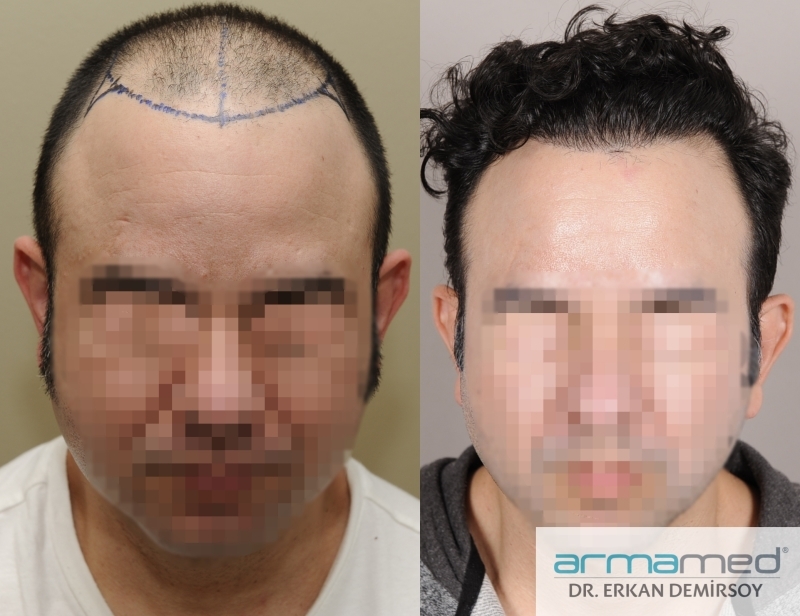 Dr.Erkan Demirsoy performs FUE method with either manual punch or micromotor based on our patients' wishes. 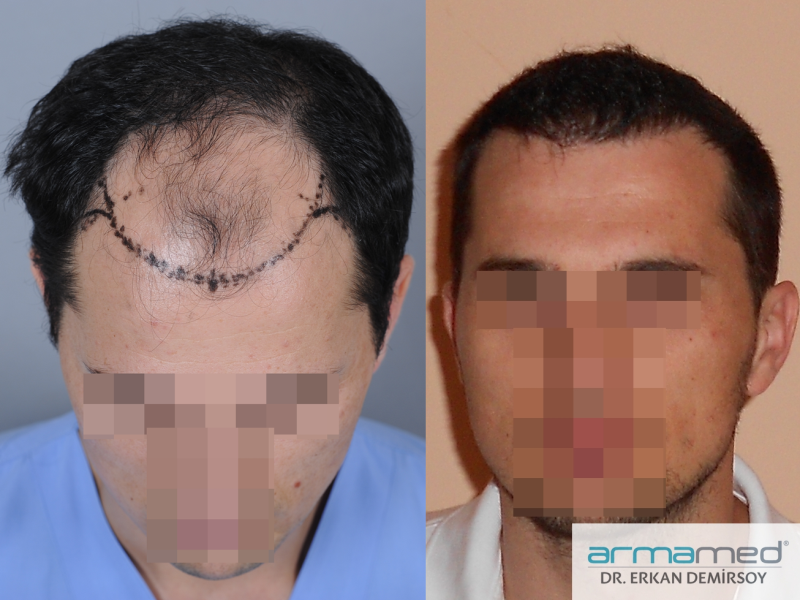 In English the word punch means an empty needle and the grafts are extracted with this. 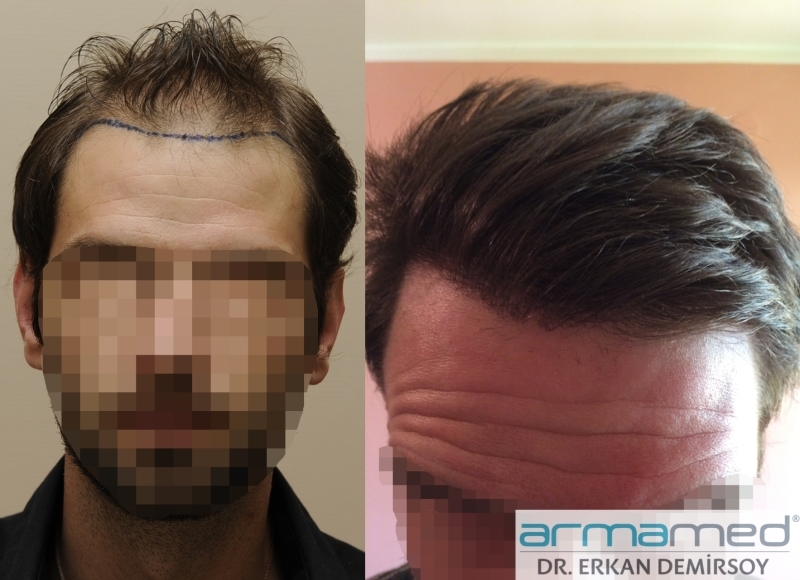 Planning of hair transplantation, hairline design, graft extraction and canal opening are performed by him. 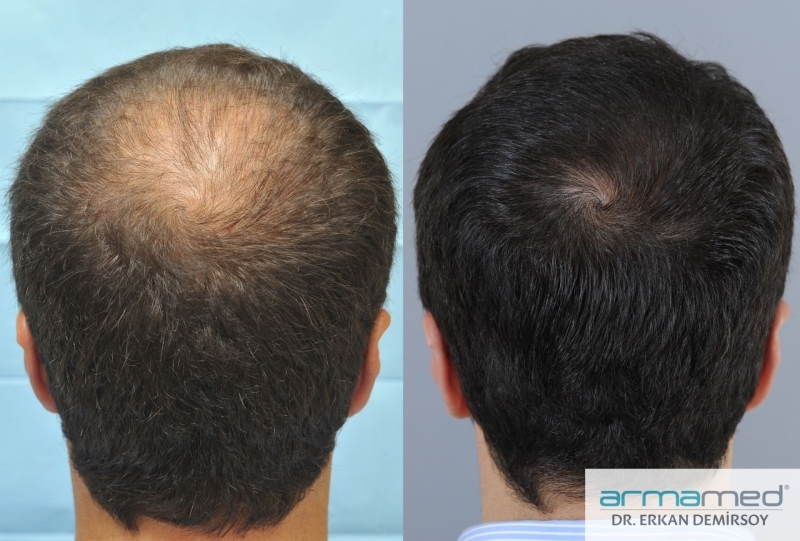 He places emphasis on slow and meticulous working for natural and high-performance results. 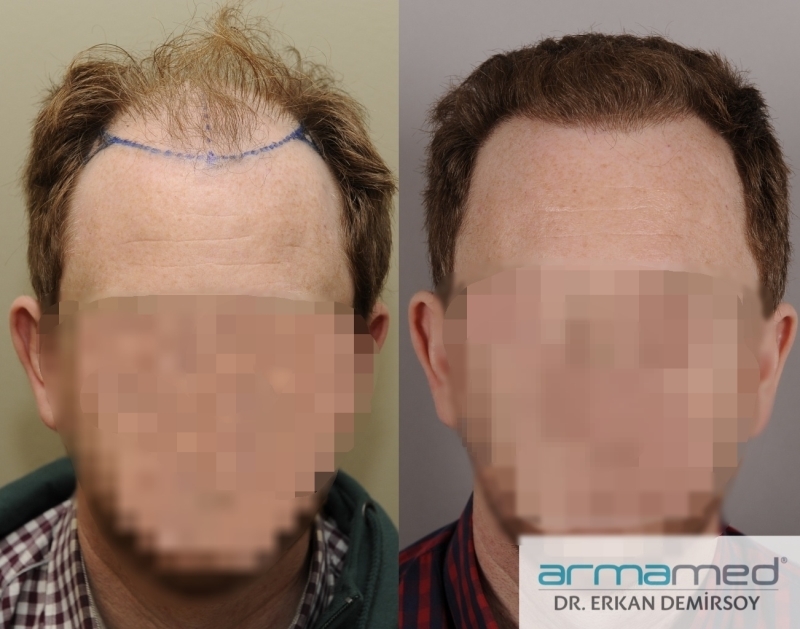 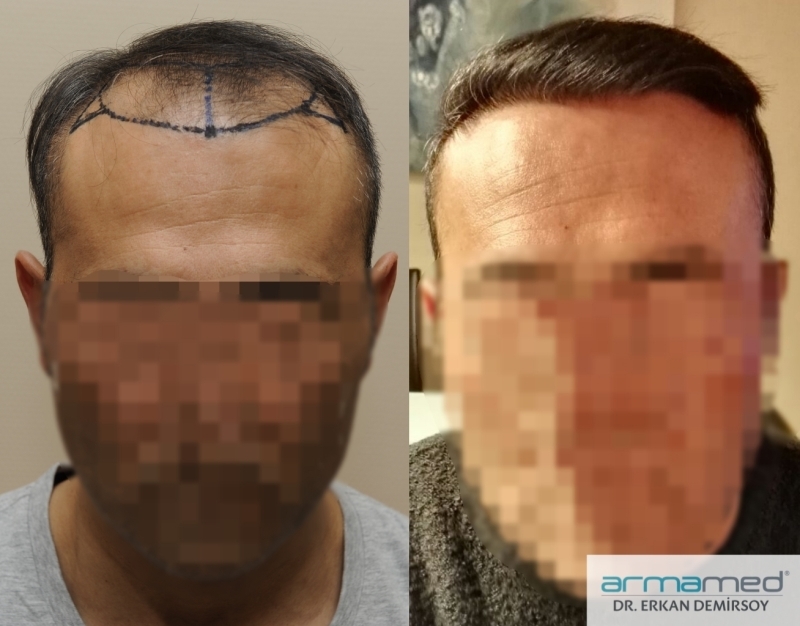 Dr.Demirsoy and his experienced team perform operations for the patients to achieve natural looking, full hair with the help of their experience for many years on hair transplantation. 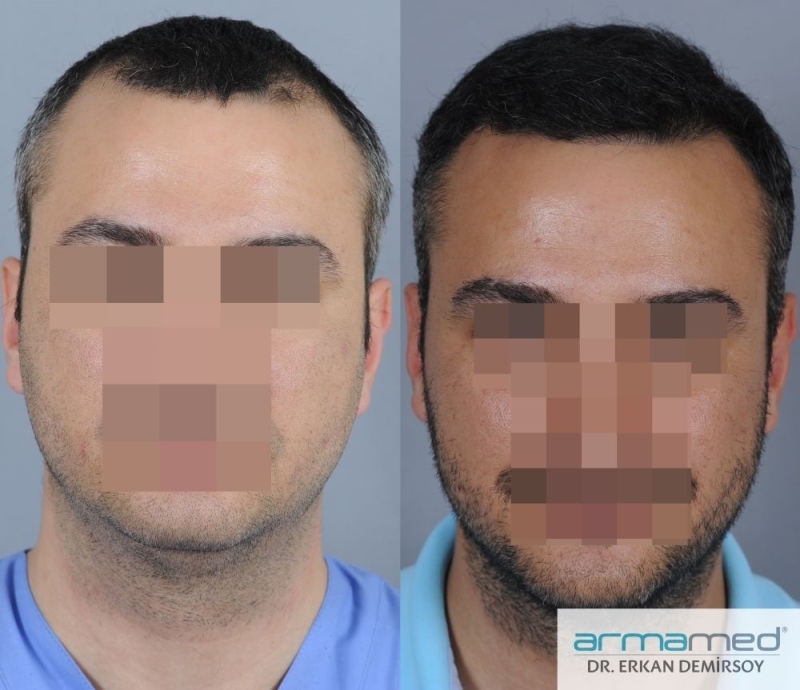 It is not allowed to use the the visual and written material without permission. 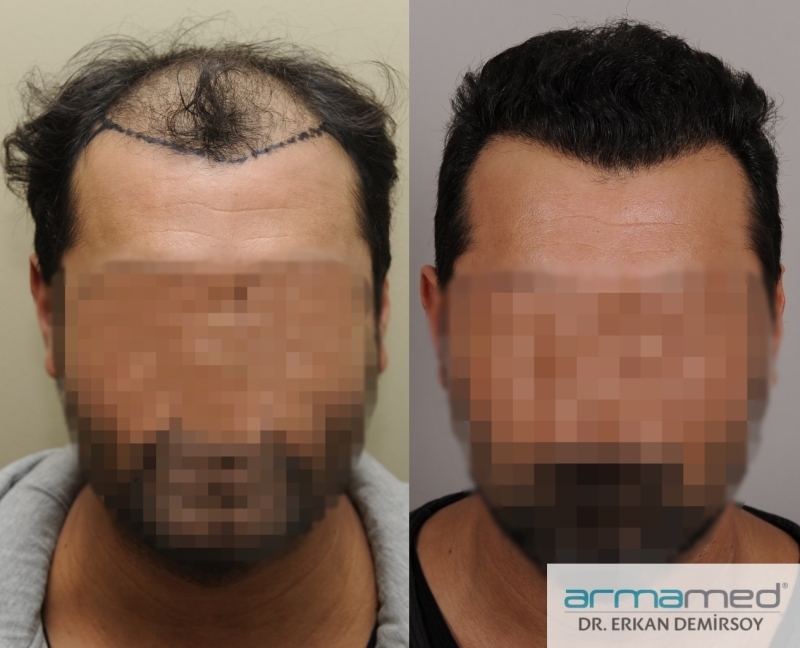 The content of this website was prepared to inform the consumer. 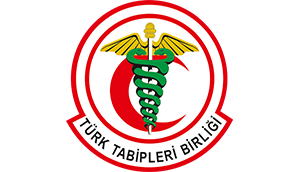 Information included in the website, can never take the place of a physician's treatment or consultation. 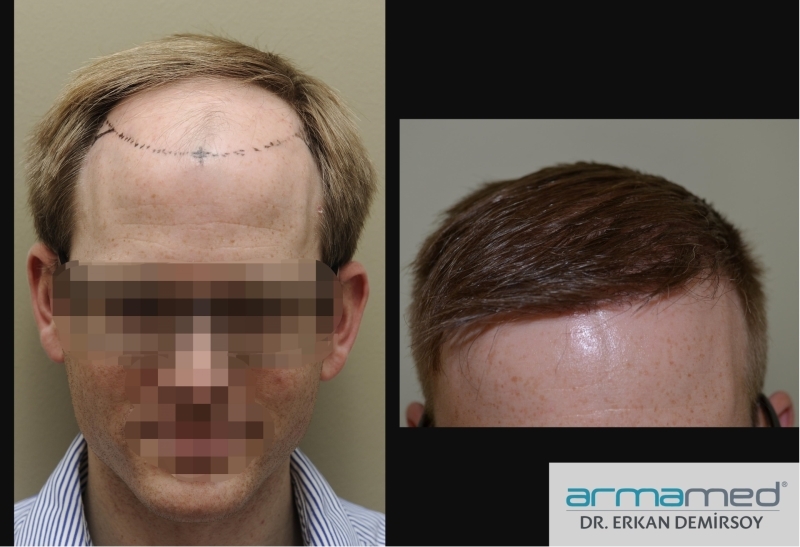 Website content must never be considered for personal diagnosis or treatment method choice. 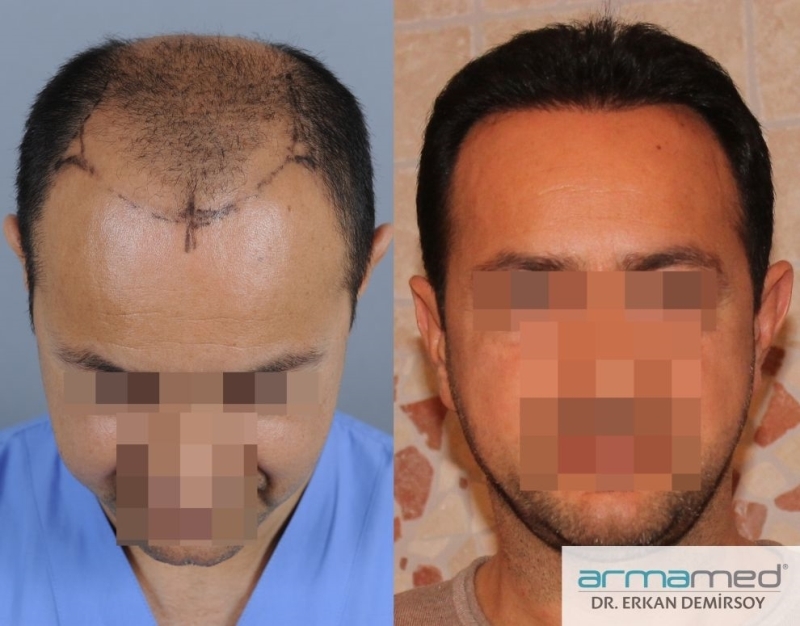 Surgical interventions are performed in our contracted surgery center.